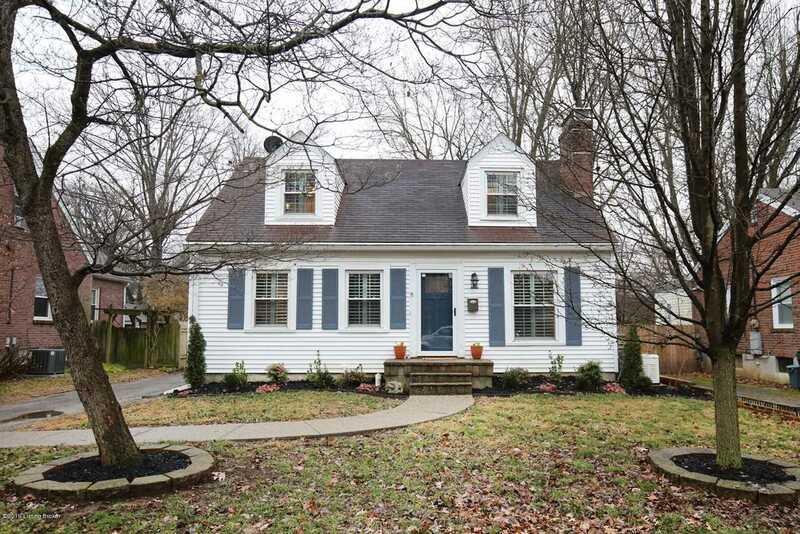 Gorgeous St Matthews Home just 5 houses from Seneca Park! Home features hardwood floors, crown molding, built-ins galore, plantation shutters, & 3 FULL BATHS. Living Room features wood-burning fireplace flanked w/ custom built-in bookcases & mantle. Formal Dining offers wainscotting. Spacious Kitchen features custom cabinetry, granite counters, tile backsplash, recessed lighting, pantry, & stainless steel appliances including refrigerator w/bottom freezer & flex zone drawer, gas range & built-in microwave. Breakfast Bar is open to Den w/wine chiller/ butcher block bar area & french doors to the large deck. First Floor Bath is updated & offers B&W tile, pedestal sink & linen closet. First Floor Bedroom is spacious. Second Floor offers a Master Suite w/ double California Closets, Master Bath w/ double vanity & whirlpool tub, 3rd Bedroom w/ full bath & large closet, & an office nook. Finished Basement features a Family Room w/recessed lighting, a built-in custom playhouse under the stairs, laundry, & lots of storage including 3 cedar closets. Exterior features curb appeal, fenced backyard, spacious deck, & 2 car garage. Additional features include dual zoned HVAC, ADT system & a back-up generator! Directions:I-64 to Cannons Ln to Dayton Ave in St Matthews. Right onto Dayton Ave to house on right. SchoolsClick map icons below to view information for schools near 3312 Dayton Ave Louisville, KY 40207.